Microsoft Edge running in Application Guard provides the maximum level of protection from malware and zero day attacks against Windows. 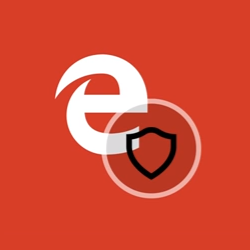 Windows Defender Application Guard for Microsoft Edge is a lightweight virtual machine that helps isolate potentially malicious website activity from reaching your operating systems, apps, and data. Isolated Browsing - Windows Defender Application Guard uses the latest virtualization technology to help protect your operating system by creating an isolated environment for your Microsoft Edge session. Help Safeguard your PC - Windows Defender Application Guard starts up every time you visit a non-work-related site to help keep potentially malicious attacks away from your PC. Malware Removal - Any websites you visit, files you download, or settings you change while in this isolated environment are deleted when you sign out of Windows, wiping out any potential malware. Starting with Windows 10 build 18277, Microsoft has an additional toggle that lets users manage access to their camera and microphone while browsing using Application Guard for Microsoft Edge. This tutorial will show you how to turn on or off allowing camera and microphone access while browsing in Windows Defender Application Guard for Microsoft Edge for all users in Windows 10 Pro and Windows 10 Enterprise. You must be signed in as an administrator to turn on of off allowing camera and microphone access in Application Guard for Microsoft Edge. For camera and microphone to be turned on in Application Guard for Microsoft Edge, camera access and microphone access for the device must already be turned on. 4. If prompted by UAC, click/tap on Yes to approve. 5. When finished, close Windows Security. 6. Restart the computer to apply.